Good wine needs no bush, and perhaps products that people really want need no hard-sell or soft-sell TV push. Why not? Look at pot. As technology advances, it reverses the characteristics of every situation again and again. The age of automation is going to be the age of "do it yourself". The suddenness of the leap from hardware to software cannot but produce a period of anarchy and collapse, especially in the developed countries. New Updates! (4/18/2019) We've been working really hard on completing our membership system so you can submit quotes and keep track of them. Once this is complete in the coming weeks there will be a lot more quotes by Marshall McLuhan and other authors. We've also changed the sorting on the site so you now see the latest Marshall McLuhan quotes first. 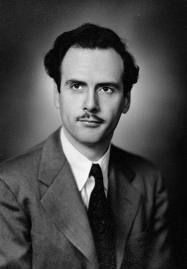 Our goal is to have the best Marshall McLuhan quotes on the web!